Prime Minister Narendra Modi's 'Main bhi chowkidar' campaign on Monday drew more ridicule from Congress president Rahul Gandhi and party leader Priyanka Gandhi Vadra. 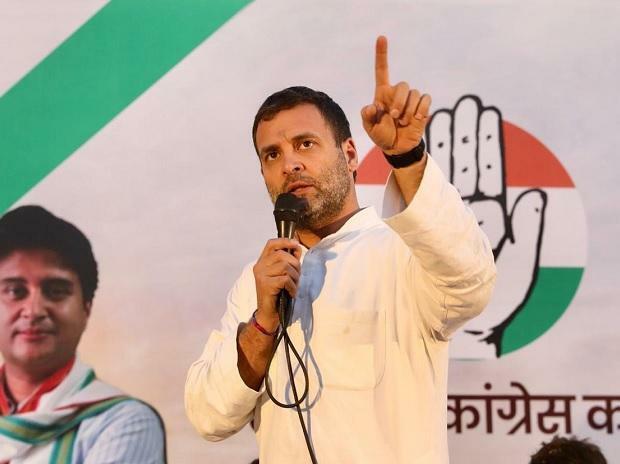 Rahul, who has been targeting the PM with "Chowkidar chor hai" (watchman is a thief) jibe alleging corruption in Rafale fighter jet deal, said, "Chowkidar was caught indulging in theft and as he was caught, chowkidar says the whole of Hindustan is chowkidar." "But before getting caught, the entire Hindustan was not chowkidar," said Gandhi. Rahul Gandhi said, "When he became Prime Minister, he said don't make me Prime Minister, make me chowkidar, do you remember? He had never said make whole of Hindustan into chowkidaars." "The whole country knows that 'Chowkidar chor hai'," Gandhi said at a public rally in Kalaburagi, Lok Sabha constituency of Congress leader Mallikarjun Kharge in north Karnataka. He claimed he could give a list of defence contracts that Anil Ambani and "Modi's friends have been given, one after the other, and they have only got caught on Rafale, which happens to be the really big contract in the world. So that's why everybody is saying chowkidar chor hai."